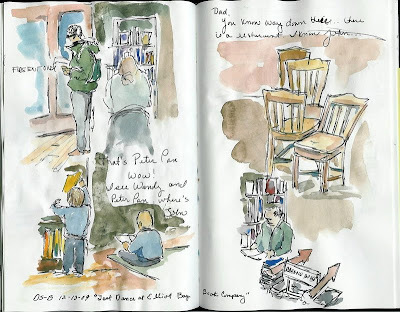 Love the sketches of people at the bookstore. You really captured what was going on. Great to have the "voices" captured in your sketches too! 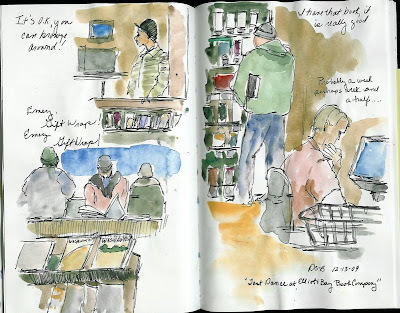 It's a good memento of what it's like to be at the bookstore.